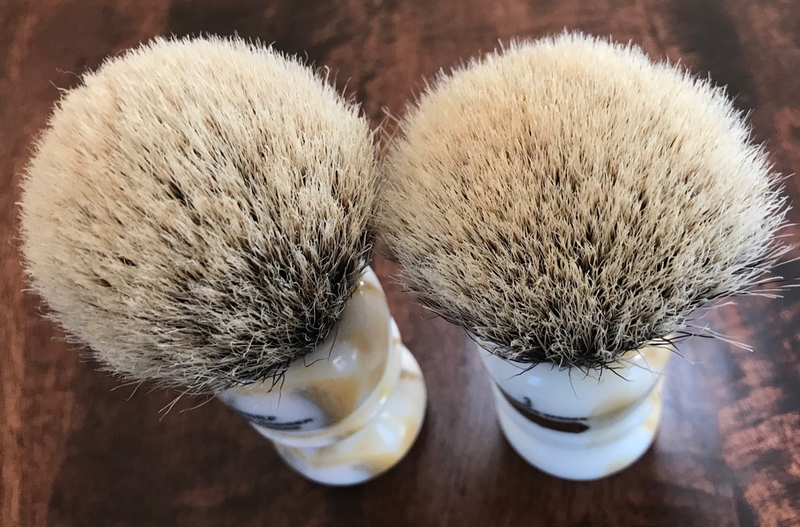 Selling off two fantastic marble brushes today. 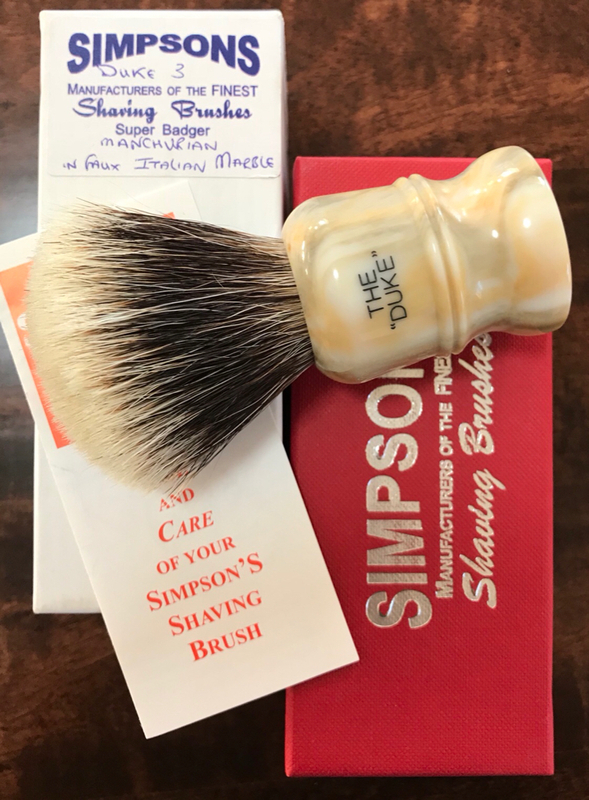 1) Simpson Duke 3 Manchurian with Italian Marble handle. 2nd owner. Used once by me and maybe five times by previous owner. Non-shedder. $195 shipped CONUS. Very nice! GLWTS why not sell individually? The Duke can be purchased alone. 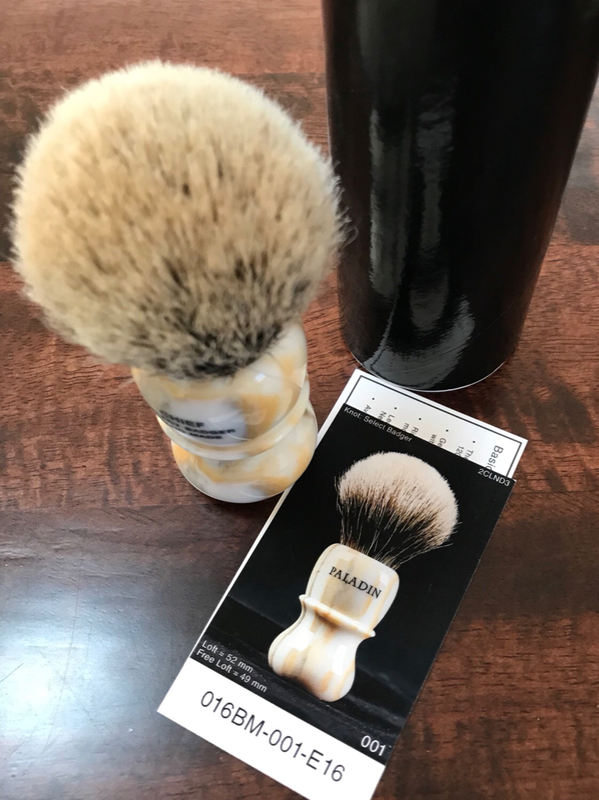 Please list the cost of the brushes. (12-15-2017, 03:14 PM)bijou Wrote: Please list the cost of the brushes. Sorry, it's been a while since I used BST and forgot to list retail prices. 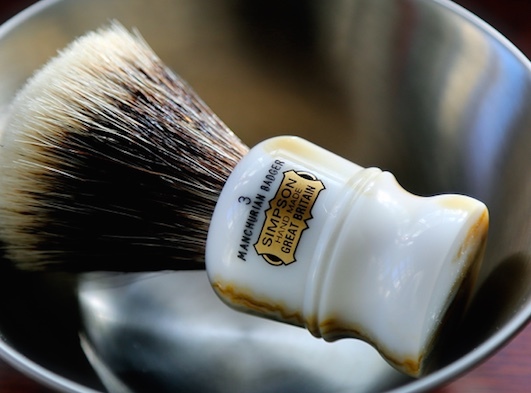 The Duke 3 Manchurian in Italian Marble can be purchased new from Simpson for $265 USD at current exchange rates. 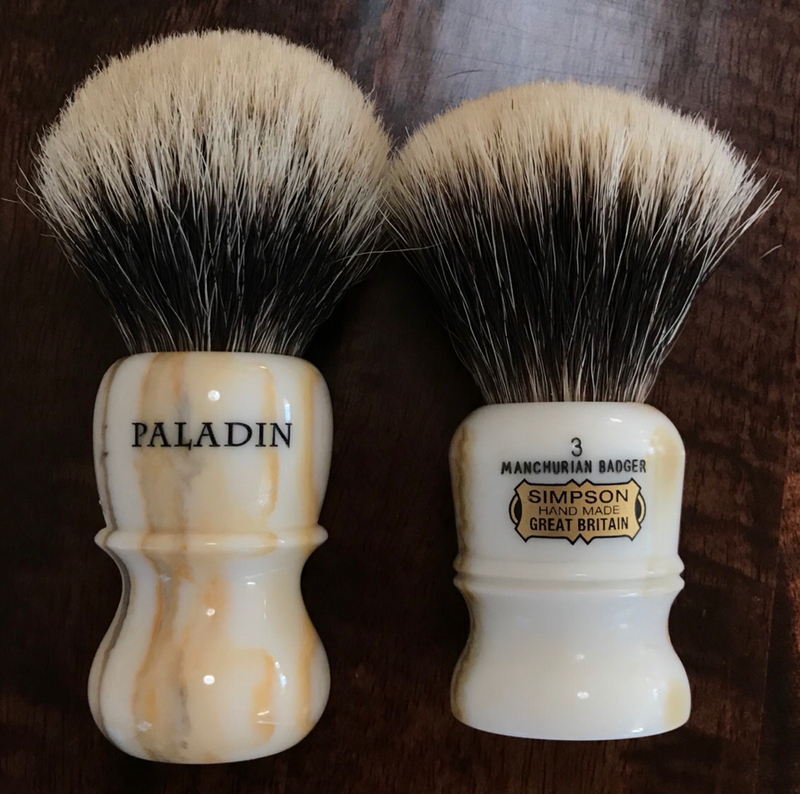 A 26mm Paladin Chief retails for $168.50. Thus the lot which I have priced at $365 is $433.50 at retail price. The Chief has found a new home. 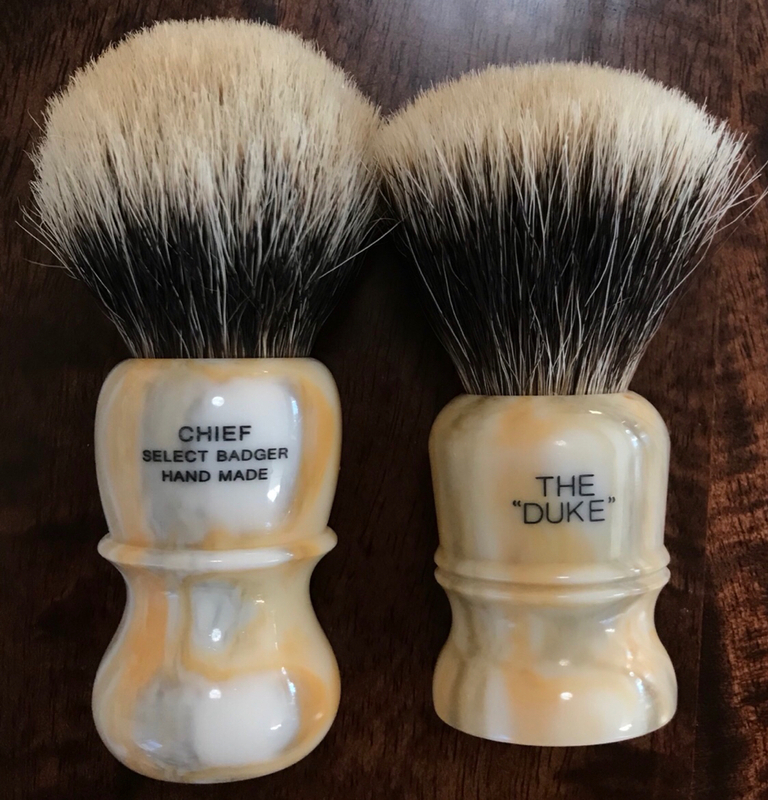 The Duke Manchu is still for sale. Bump- Manchurian still for sale. bump. Manchurian still for sale. 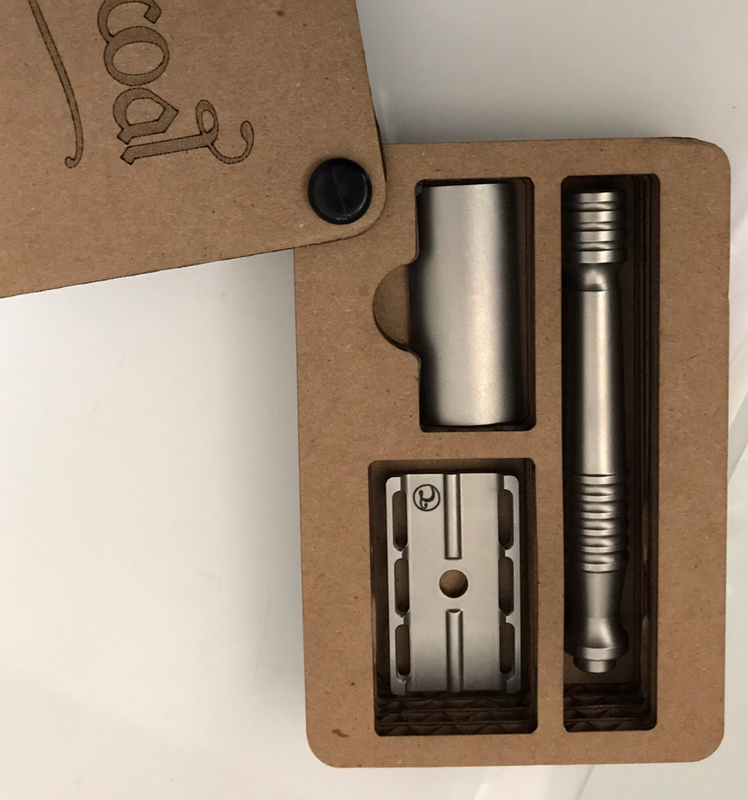 Charcoal goods level 1 added. 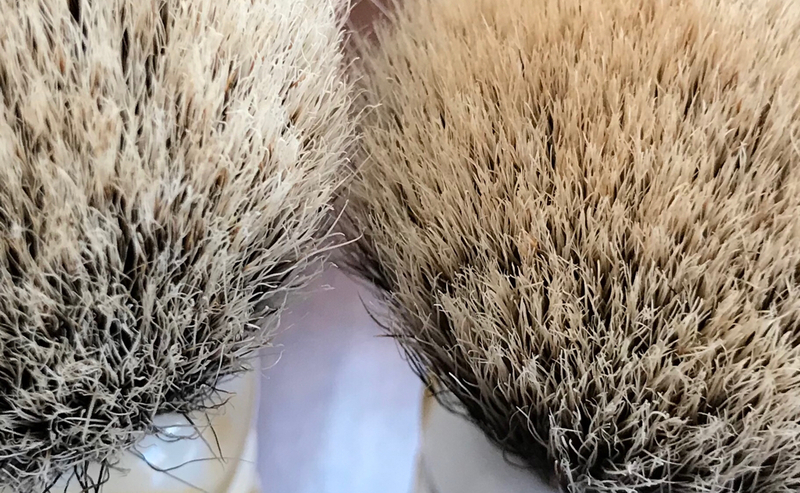 The Duke and charcoal goods razor are still available.